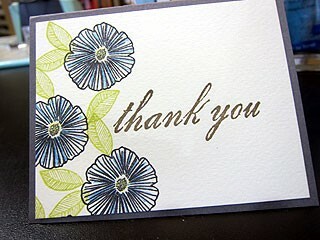 Stamp the flower with memento ink on a watercolor type paper. Then draw a line with your glitter pen along the edge of the flower. Use your wet waterbrush to spread the shimmer. You'll love the look.